The Internet Archive is a free reference site accessing Canadian, American and Universal Libraries. The Ontario College of Art and Design is soon to have a name change to OCAD University. If you click on Alumni in the menu header, you will have access to news about upcoming arts events in Toronto, calls for entry, and schedules for pay as you go sessions with a model. I have bookmarked the online gallery, including work by students, alumni and faculty. Visual Arts Ontario is a fabulous organization for all artists in Ontario. They offer professional development workshops in all facets of artistic development including grant writing, portfolio presentation and how to document artwork. Agenda, a quarterly published journal, provides information on upcoming grant deadlines, calls for entry and galleries looking for new artists. The also provide an online gallery of members artwork and have a gallery rental space. I have bookmarked the online gallery page. Dragonfly Imaging & Printing are fine art giclee printers in Toronto with an on-line gallery. These four figurative artists have inspired and influenced the development of my own drawing process. The work of John Gould is carried at Roberts Gallery, Toronto. Scroll to 1970’s drawings and beyond to see poetry in line. 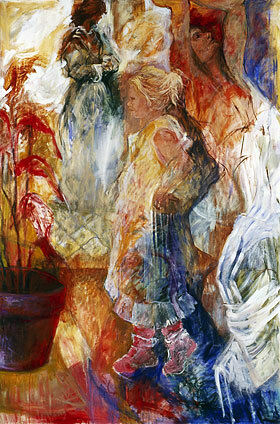 The art of Betty Goodwin is seen on her gallery page in The National Gallery of Canada. German Expressionist artist Kathe Kollwitz. 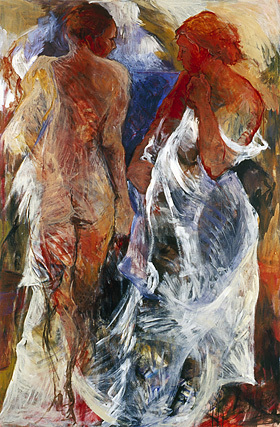 An online artists website, bookmarked to American artist Jim Dine. More drawings and paintings by artist Jim Dine. National Museum for Women in the Arts, Washington. Contemporary artists and exhibitions listed geographically. Dimension Plus are artist agents based in Montreal who carry a wide range of contemporary Canadian and International artists, bookmarked to my artist page. Patricia Nix, American artist, paintings and giclee prints. Dawn MacNutt, Canadian artist, sculpture. I visited Parks Gallery in Taos New Mexico and was inspired by sculptures and mixed media paintings by artist Melissa Zink. Michele White, Canadian artist, encaustic. Listen to some of the songs and watch live video performances of the musical group The Healing Divas.